Policy Wonk Plays Dumb Over Role in Iranian Escalation. Editor's Note: For those not familiar with the "Which Path to Persia?" report, more information can be found here, and part II here. 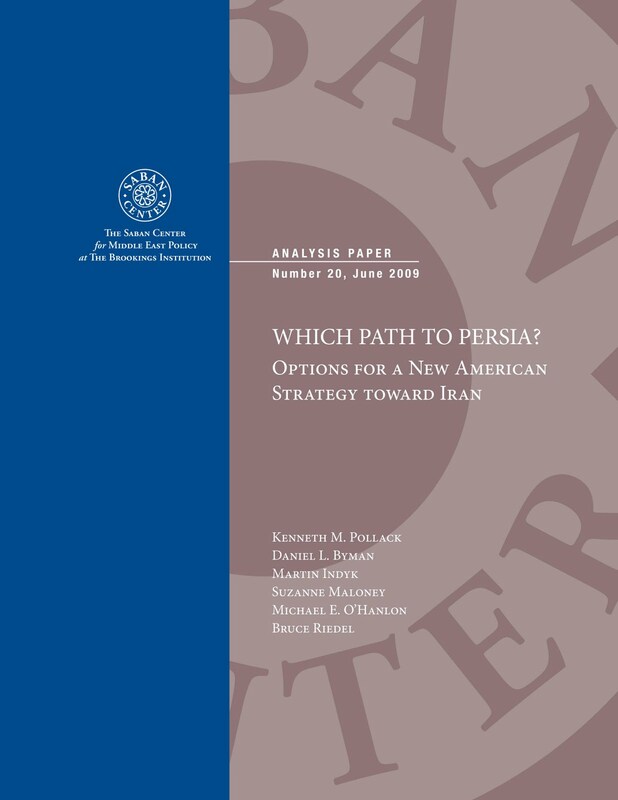 October 15, 2011 - Kenneth Pollack helped literally co-author the blueprints for America's current policy toward Iran. Titled, "Which Path to Persia?" and published in 2009 for the Fortune 500-funded Brookings Institution, much of what was covered in the report had already gone operational before it hit the press. This included training, arming, and supporting terrorists within Iran, sanctions, US-funded uprisings, and covert attempts to provoke Iran into war. While pundits in the media and politicians behind their podiums talk about "extending hands," "carrots and sticks," and other trite, and ultimately contrived policies the US is supposedly pursuing in regards to Iran, there is in reality only Brookings' plan - and it leads only to war. 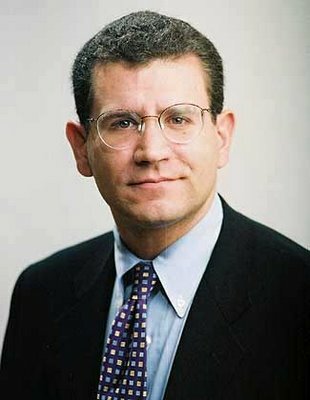 Recently, Pollack penned a column for the Daily Beast titled, "Iran’s Covert War Against the United States." In it, Pollack, addressing a readership almost assuredly ignorant of his work on "Which Path to Persia?," claims that Iran appears to be irrationally wandering down a misguided path, waging what might be a "covert war" against America, highlighted by the contrived "Iran terror plot" targeting a Saudi ambassador. Pollack, a former analyst for the CIA, seems to humor the recent allegations against Iran as plausible despite his own cautionary words regarding jumping to conclusions and despite the growing factual basis that exists to entirely dismiss the plot. Additionally, Pollack's feigned astonishment over why Iran has been taking a tougher stance against the US recently is a case study in duplicity, as he was one of the chief architects of the various provocations Washington has used to provoke Iran into such a stance. Pollack's disingenuous editorial does however lend us some insight into the current mindset of the "Which Path to Perisa?" co-authors, and ultimately into the mindset of those for whom the report was prepared for and who are eager for war. To understand American policy toward Iran, one must understand who the authors are of such policy and what their motivations are. The Brookings Institution itself was created by and for the corporate-financier elite. It is a policy think-tank that represents the collective interests of the big oil corporations, banks, and military contractors that fund it. 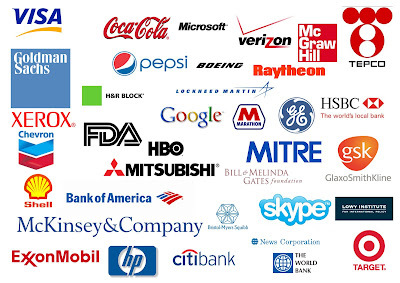 Quite obviously then, policy toward Iran, or any nation for that matter, from within the halls of the Brookings Institution will revolve around expanding the global financial, social, political, and military hegemony of its corporate sponsors. Iran is a nation of 70 million, has a developed infrastructure, as well as a tremendous wealth in natural resources, including oil and natural gas. A Western dominated banking system lording over 70 million people, telecommunications companies supplying services to this vast population, and the immense consumerist troughs that could be laid out before these people alone serves as a compelling incentive to attempt to domineer Iran. War against such a nation would be a trillion dollar endeavor, utterly bankrupting the American people, but enriching the military industrial complex beyond imagination. Of course, construction firms such as war-profiteering Halliburton and Bechtel would make fortunes rebuilding amidst the destruction of such a vast nation - as untold of billions have already been made by these same corporations in Iraq, a nation with but a fraction of the land area and population of Iran. Iran's oil fields flowing once again into the tankers, pipelines, and coffers of Anglo-American oil companies also serves as an attractive incentive, as do the geopolitical implications. China would be essentially dependent entirely on oil controlled by the Wall Street-London "international order," as would all nations. The development of the modern nation-state is dependent on energy. By controlling access to energy, one controls the development of nations. While many analysts suggest the continental United States contains enough energy to meet America's needs for the foreseeable future, tapping into this supply and abandoning holdings overseas would catapult the developing world into direct competition with America on almost every front. It would also allow nation-states worldwide to defend themselves against what has essentially been a free reign of financial piracy perpetrated by the International Monetary Fund, World Bank and other Western contrived "international institutions" used to manipulate and exploit the planet. With this in mind, it is quite clear why the corporate-financier interests that fund Brookings have thrown their support behind executing the recommendations made in "Which Path to Persia?" and continue marching the United States ever closer to war with Iran. The report itself, most likely never intended to reach the American public on a large scale, and using language and length inaccessible to the average "bread and circus" crowds, fully acknowledges that Iran's leadership may be aggressive, but not reckless. The report also notes that Iran would use its nuclear weapons only as an absolute last resort, considering American and even Israeli nuclear deterrence capabilities. Even weapons ending up in the hands of non-state actors is considered highly unlikely by the report. Similar reports out of the RAND corporation note that Iran has had chemical weapons in its inventory for decades, and other reports from RAND describe the strict control elite military units exercise over these weapons, making it unlikely they would end up in the hands of "terrorists." The fact that Iran's extensive chemical weapon stockpile has yet to be disseminated into the hands of non-state actors, along with the fact that these same elite units would in turn handle any Iranian nuclear weapons, lends further evidence to this conclusion. Brookings notes on pages 24 and 25 of the report, that the real threat is not the deployment of these weapons, but rather the deterrence they present, allowing Iran to counter US influence in the region without the fear of an American invasion. In other words, the playing field would become level and America may be forced to recognize Iran's national sovereignty in regards to its own regional interests. The report also acknowledges on multiple occasions that Iran is not looking to provoke the West, and that the West, or Israel would have to proactively work to provoke Iran into war instead. "...it would be far more preferable if the United States could cite an Iranian provocation as justification for the airstrikes before launching them. Clearly, the more outrageous, the more deadly, and the more unprovoked the Iranian action, the better off the United States would be. Of course, it would be very difficult for the United States to goad Iran into such a provocation without the rest of the world recognizing this game, which would then undermine it. (One method that would have some possibility of success would be to ratchet up covert regime change efforts in the hope that Tehran would retaliate overtly, or even semi-overtly, which could then be portrayed as an unprovoked act of Iranian aggression.)" This quote alone, not to mention the entire content of this report, compiled by some of America's most prolific policy makers and funded by America's largest corporations and banks, demonstratively executed over the past several years, makes everything that follows regarding the sanctions, covert military operations, US-funded uprisings, US-funded terrorism via the MEK (Mujahedin-e Khalq), and now these most recent, entirely contrived allegations regarding a supposed "bombing plot," all unjustified acts of war on America's behalf. The reckless self-serving nature of this gambit puts in danger the lives of hundreds of millions of people as these craven megalomaniacs edge us ever closer to war with Iran. Pollack, in his Daily Beast op-ed, seems to almost relish the converging paths bringing us closer to war. While he fills his editorial with disclaimers regarding the believability of the recent Iranian plot allegations, his infinite duplicity is exhibited by omitting the role he has played in developing policy designed to purposefully provoke a war with Iran it had actively sought to avoid. Should readers know this, they would not only dismiss him as a meddling, treasonous, warmonger, but dismiss the latest allegations against Iran as yet another contrived attempt to stoke the fires of war. Readers need to take a good look at Brookings' sponsors. These are the people conspiring to send your sons and daughters, brothers and sisters, mothers and fathers off to war. These are the people that intend to bleed you dry financially as you pay them to wage a war you neither want nor will benefit from. These are the ones that will ultimately profit while both America and Iran suffers immeasurably. 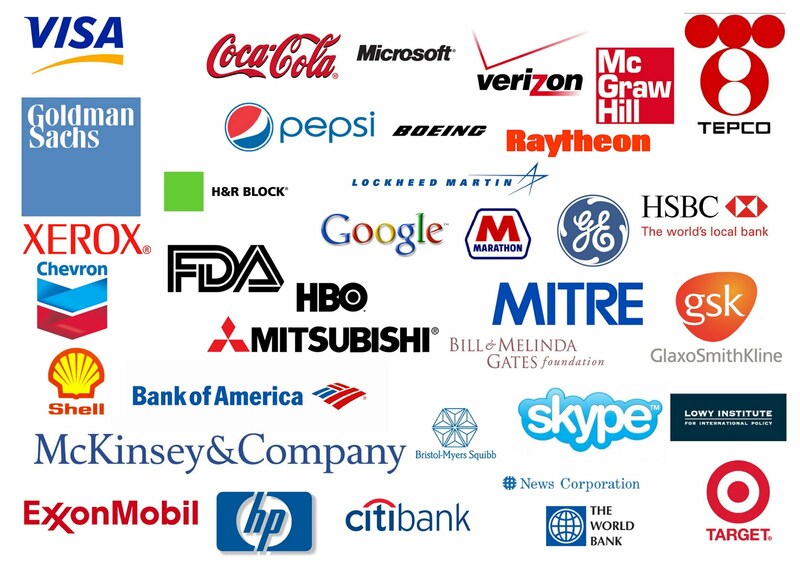 These corporations need to be put out of business, and instead of wringing our hands and hoping for salvation from our clearly compromised, corporate-fascist government, we can begin today by boycotting these corporations and putting our money instead into local businesses, entrepreneurship, and solutions that benefit we the people. Even just beginning to boycott them, cutting back in our daily life and working toward the eventual goal of complete local self-sufficiency will scale down both the reach and ambitions of these corporations. It will also spur change within, as sagging profits motivate individuals within these corporations to abandon those advocating exploitative, parasitic agendas and business models. We can speak up to expose the fraud, speak out to stop the war, but it is essential, above all, to begin changing the balance of power that has allowed for our nation to be led to the edge of such a precipice in the first place.